Two years ago we visited our nephew in Montreal. He is older than Teddy and has various board games. Kids played a lot during our visit and since that time Teddy is a huge fan of board games. They provide great opportunity to learn something new, have fun together with family & friends and reduce the time kids spend online. 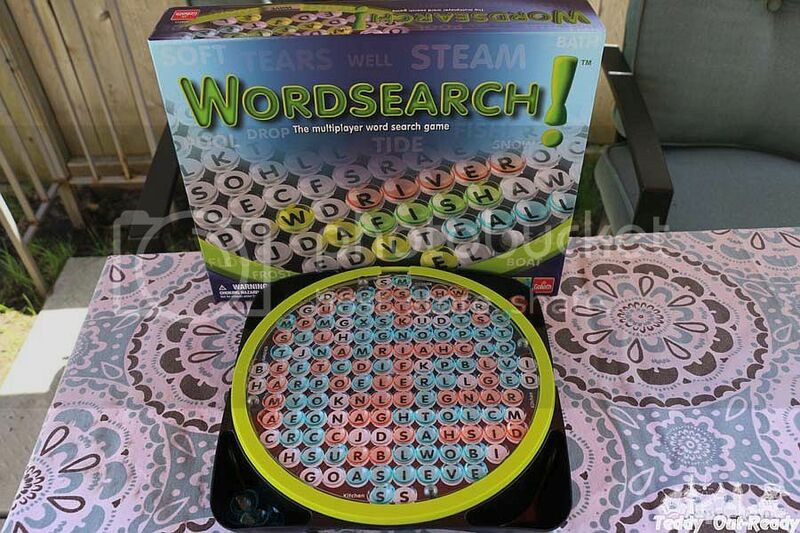 One of the games which teaches kids spelling and new words, plus focus and speed is Wordsearch! Based on classical wordsearch puzzle, Wordsearch! 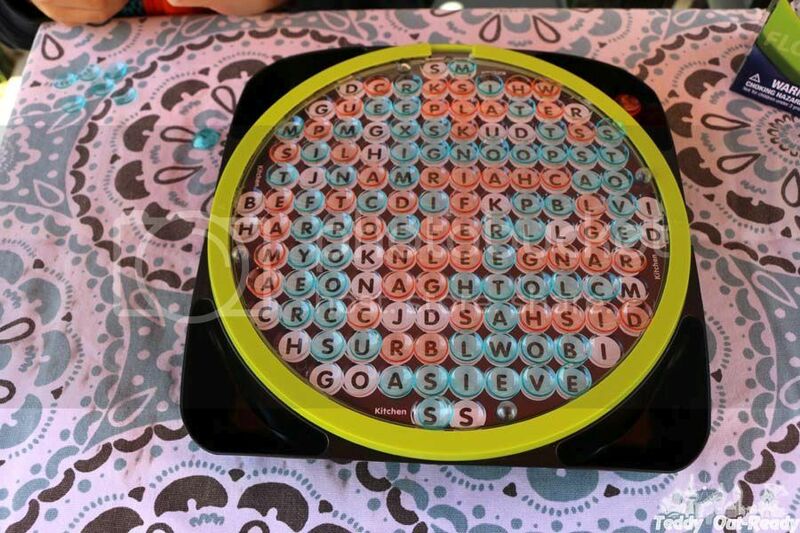 from Goliath Games comes as a specially-designed circular board with four compartments to keep game tiles. 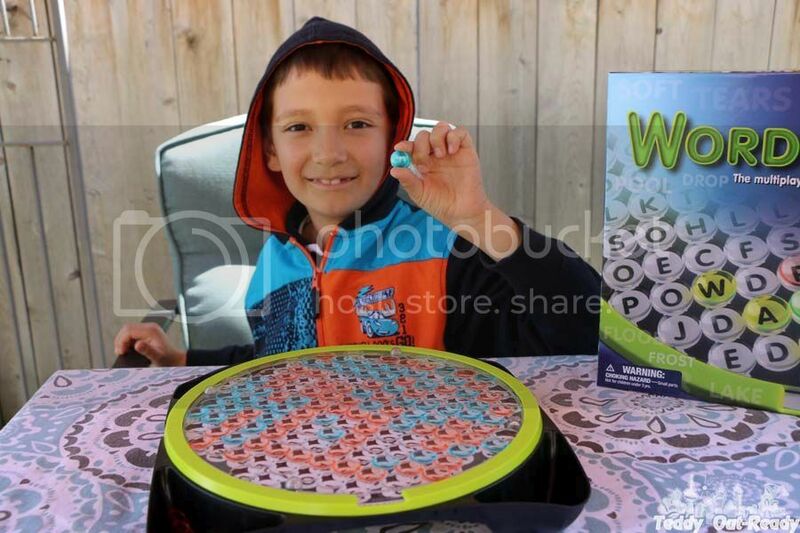 Designed for kids ages 7 and up the game is great for from 2 to 4 players. Each player chooses one color see-through tiles to play. There are 8 Double-sided Game Cards split by themes like Kitchen or Animals. Players put one of the cards on the board and reveal the word in a slot by turning the rim. Everyone plays at once, the first who locate the word has to shout Wordsearch and then mark the found word with his tiles. It is allowed to remove tiles played by competitors. The words need to be searched in any direction: vertical, horizontal, right to left, diagonal or left to right. The player with the most tiles on the board at the end wins. This is quite tricky game to play, especially when more tiles cover the board and you need to focus to find the right sequence of letters. Plus there are some unknown words, like Teddy did not know names of some kitchen utensils, so find something unfamiliar is a challenge itself. We had times when we could not find a word for a prolonged period of time and almost were ready to give up. Since there are only 16 cards to play, when all become easy to figure out you can print new ones using Wordsearch Puzzle generator at http://www.wordsearch.eu. It offers themed puzzles like countries or favorite sports or you can add own words to add to the puzzle. 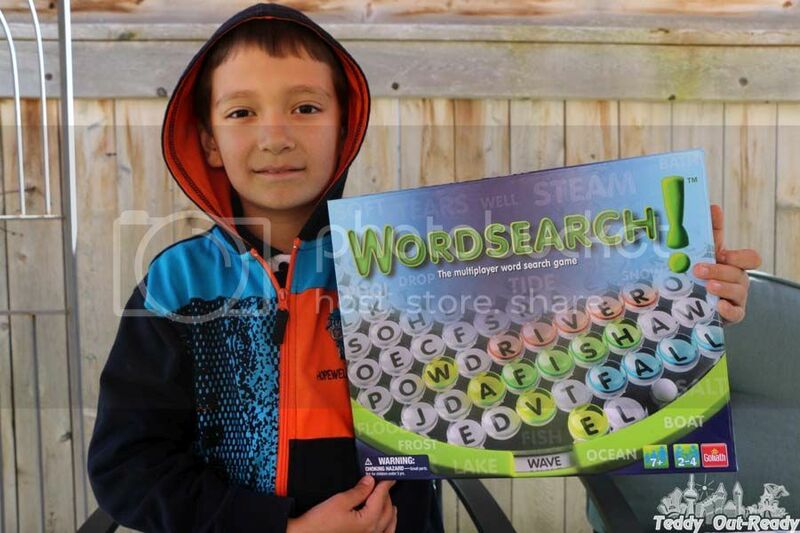 Available on Amazon, Walmart and at other major toy retailers across North America, Wordsearch! puzzle game brings unforgettable experience and create hours of fun for the whole family! Labels: board game , children , circular board , classic game , Double-sided Game Card , family , Goliath Games , kids , play , players , puzzle , themed , wordsearch , Wordsearch Puzzle , Wordsearch! Thanks for the review, Fan. This game looks like it's lots of fun! OMG I think thats a game I could get my mom...she loves to do those book search things! !